LOS ANGELES — The American bar mitzvah, facing derision for Las Vegas-style excess, is about to get a full makeover, but for an entirely different reason. Thirteen Reform congregations across the nation have volunteered to pilot the change, and an additional 67 are on the runway. Everything is on the table: how or whether to teach Hebrew, whether to delay the ceremony until children are older, and even whether to require children to read from the Torah — now the centerpiece of most bar mitzvah ceremonies and the culmination of years of study. Parents will most likely be expected to play a larger role and emphasis will shift from prayer to social action. “I like Torah, I read Torah, I study Torah,” said Isa Aron, who is helping lead the Reform movement’s initiative and is a professor of Jewish education at Hebrew Union College in Los Angeles. “But what’s the point of getting your 200 or 300 closest friends and family members together and having your kid read a text they don’t understand in a language they don’t understand? Reform leaders say American Jewry unwittingly sowed the seeds of its own stagnation in the 1930s and ’40s when synagogues, to expand their membership, began to require three or four years of religious school attendance as a prerequisite to the bar mitzvah. Synagogues built classroom wings and charged tuition, which became a vital income stream for congregations. “We’re living in the religious school industrial complex,” said Rabbi Jonah Dov Pesner, a senior vice president of the Union for Reform Judaism, the umbrella organization for congregations. The phenomenon is not exclusive to Judaism. Churches also struggle to keep young members engaged, and studies show that younger Americans are far less likely to be religiously affiliated than their parents and grandparents. What is different for synagogues is that often when the youth depart, so do the parents. Mr. Berman, 50, who works at a law firm in Los Angeles, exemplifies the cycle of exodus. He and his wife were both raised Jewish and have two sons, ages 12 and 14. They sometimes celebrate Jewish holidays, but they have not joined a synagogue and are not planning bar mitzvahs. Mr. Berman says he is an atheist. A study by Jack Wertheimer, a professor of American Jewish history at the Jewish Theological Seminary of America, showed that more than a third of religious school students dropped out after the seventh grade, and 85 percent by the 12th grade. Each congregation is expected to design its own program and share the results. Yet many of them appear to be moving in a similar direction: involve the parents so that they do not also leave the synagogue when the bar mitzvah is over. They want the children to spend less time learning Hebrew and memorizing prayers, and more time working as a group on sustained “social action” projects. (Many congregations already expect “mitzvah projects,” but those usually involve individual volunteerism, and are not extensive). In Scotch Plains, N.J., each participating family at Temple Sholom is designing a tailor-made ceremony, with one girl planning to write new music and prayers, said Rabbi Joel N. Abraham. Temple Isaiah in Los Angeles has already been experimenting. Jordan Sachs-Amrami and his seventh-grade class voted to spend their b’nai mitzvah year working on the issue of hunger. They stocked shelves at a food pantry, cooked meals at a homeless shelter and interviewed experts about why hunger persists in a nation of plenty. During his bar mitzvah ceremony in 2012, Jordan dimmed the lights in the sanctuary and showed a video he made about what his group learned. Eight of the 10 students in his group are still in the temple’s religious school program. Some parents, rabbis and cantors are resistant to change, said Dr. Aron, the professor at Hebrew Union College. 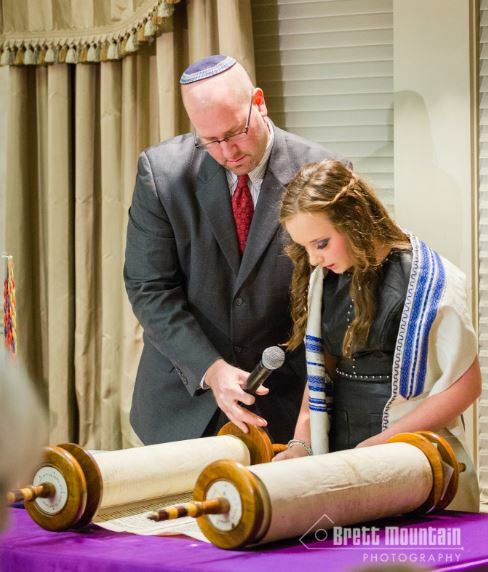 At some synagogues, she said, “the cantorial staff thinks nothing is broken” because the b’nai mitzvah ceremonies themselves can be quite beautiful and moving.